Hallelujah! Someone who freely admits to not manipulating his photographs for fear of cheating the viewer or damaging the integrity of wildlife photography. My sentiments exactly, and how refreshing hearing this from a professional photographer. For me, it's all the more wondrous if my pictures are "as is". (I'm strictly an amateur.) Professional photographer David Tipling says that too much manipulation and the pictures lose their "wow factor". Tipling writes about what equipment one should use (says he, "... bear in mind that ultimately it is the person behind the camera and not the equipment that will take great pictures.") and offers his thoughts about cameras (not only digital cameras as he also talks about using film for those who wish to perhaps use both disciplines) and lenses. He concisely explains how digital cameras work (gets to the point in a page or so), talks about exposure, metering, focusing, and caring for your gear. He also talks about his trips around the world and tells stories of his photo shoots, amplified by exquisite photos. Also included are "When to Go" and "Travel/Accommodation" information which is useful when planning your own trip. I got many an idea and much inspiration from these pages! Through his photographs he manages to capture not only the beauty of Nature, but the emotional side as well, which is so endearing to the viewer. Look at his pictures on these pages: 8, 35, 60, 66, 71, and 120. I just know I'm going to look at this book again and again. For enthusiasm (dedication to his craft? ), check out Tipling on page 149! Conclusion - Exceptionally easy-to-grasp information. Just what the beginner photographer needs - no complications. 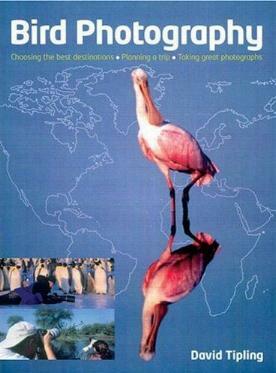 His photos are spectacular, earning his book a rare three stars!